Institute Krav Maga Director and Chief Instructor Joe Ambrosino. Joe co-founded the Institute Krav Maga UK and has been responsible for developing the instructor team and has a been a passionate advocate of Krav Maga around the world. Joe has trained and taught Krav Maga all over the world. Became a Civilian Instructor (G3) Private CIC in Israel under IKMF in 2002. 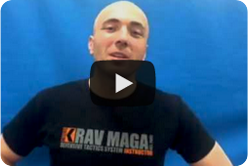 Founded the Institute of Krav Maga UK in London in 2006. Leadership and Management Certification – SENAC, 1996, Brazil. ASP – Armament Systems and Procedures, Tactical Expandable Baton. 1996 Miami-Dade County, USA. National Intelligence Academy – SWAT Tactics. 1996 Miami-Dade County, USA. Want a quick start ? Take a trial class and get free gifts too! Fitness and Self-Defence Training meeting your needs without long-term contracts or hidden charges. Since 2006, Institute Krav Maga has raised the bar and set a higher standard. We’ve never stopped. We never will. I consent to KRAV MAGA collecting my details through this form.